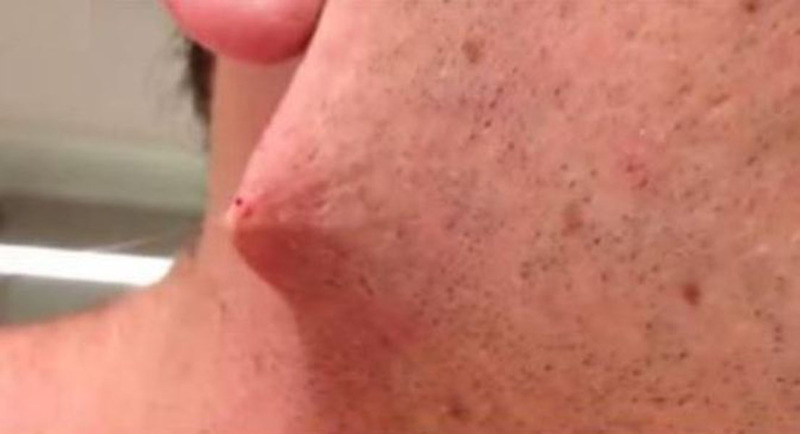 After having a “pimple” on his face for a year, the man’s dermatologist told him that it could be a cyst. He decided to take care of it himself. Turns out, it was the longest ingrown hair we’ve ever seen. In the video he says that what was coming out of this gigantic, black mark on his face must be like a year of hair.